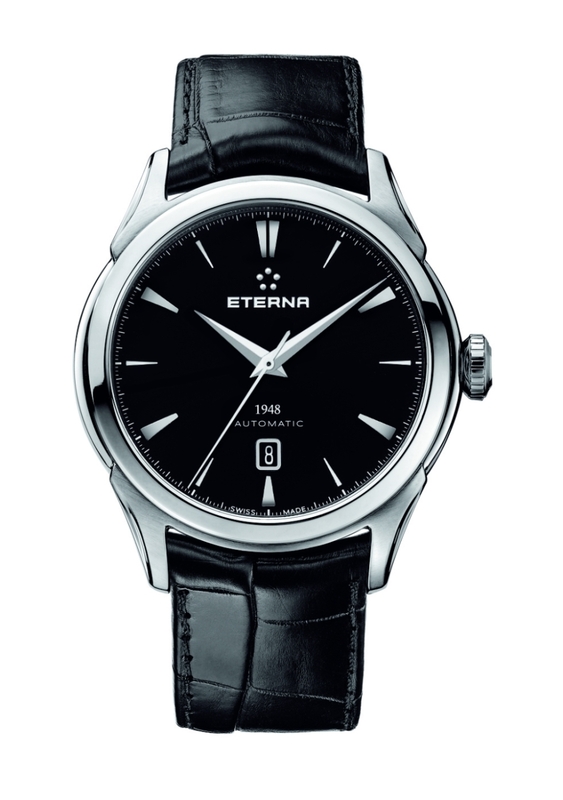 In 1948, Eterna revolutionized the automatic watch with five ball bearings. In 2012, Eterna reminded the world that some things are eternal. 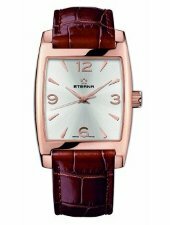 In 1948, Eterna took a major step forward in self-winding watch technology when it developed the revolutionary Eterna-matic automatic movement. 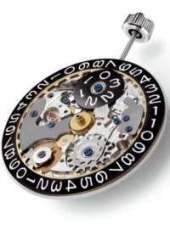 Using five strategically placed ball bearings; they significantly reduced friction and resistance on the oscillating weight that wound the mainspring. 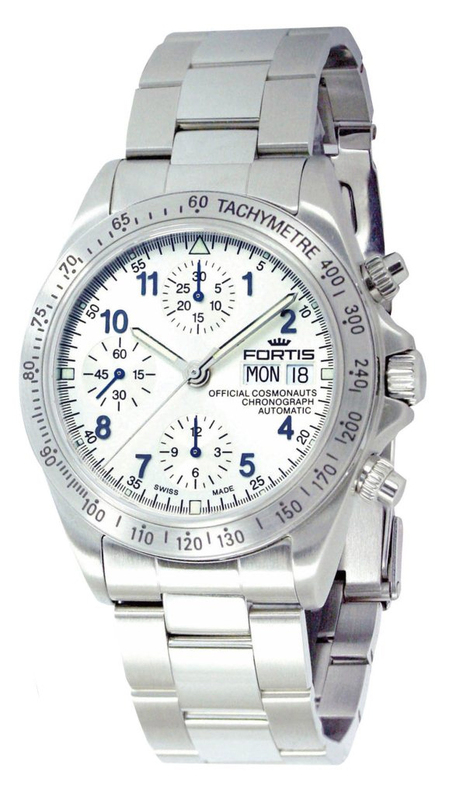 This reduced the wear and tear on internal parts, increasing the watch’s accuracy and increasing its useful life. 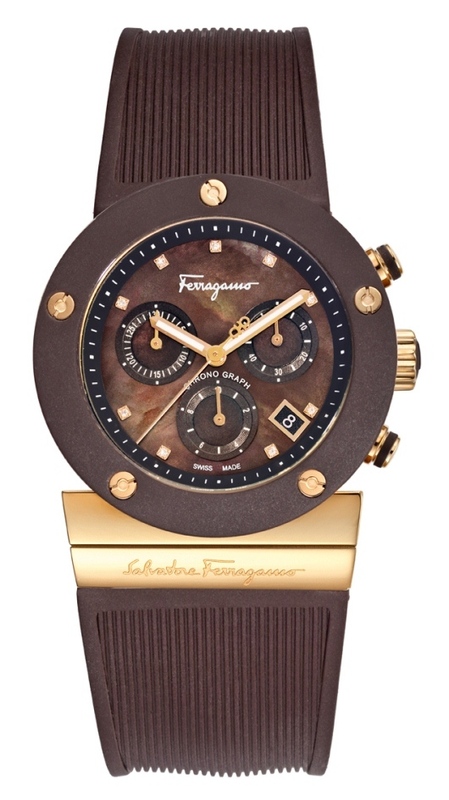 Within months, the new watch became an instant hit and set new sales records for the company. The 1948, with its revolutionary mechanism, became so popular that Eterna adopted the image of five ball bearings as its corporate logo. 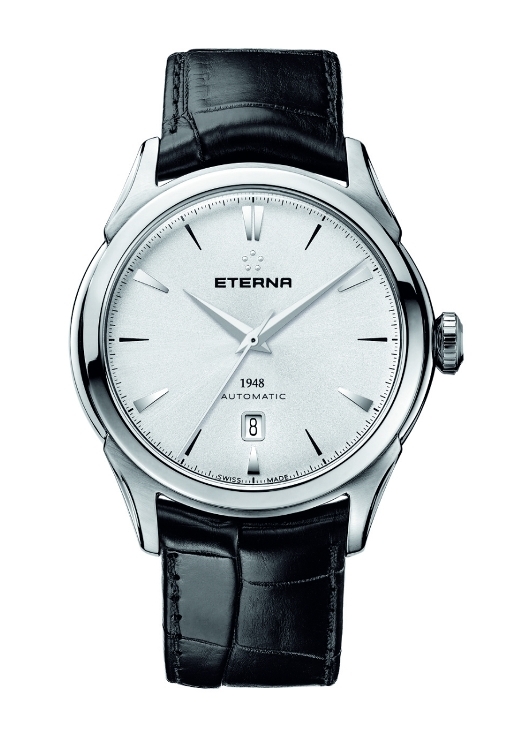 The clean looks and superb performance of the original Eterna 1948 timepiece never really went out of style. 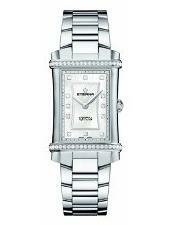 In fact, the Eterna-matic self-winding movement that the 1948 was based on remained in continuous production until 1998. 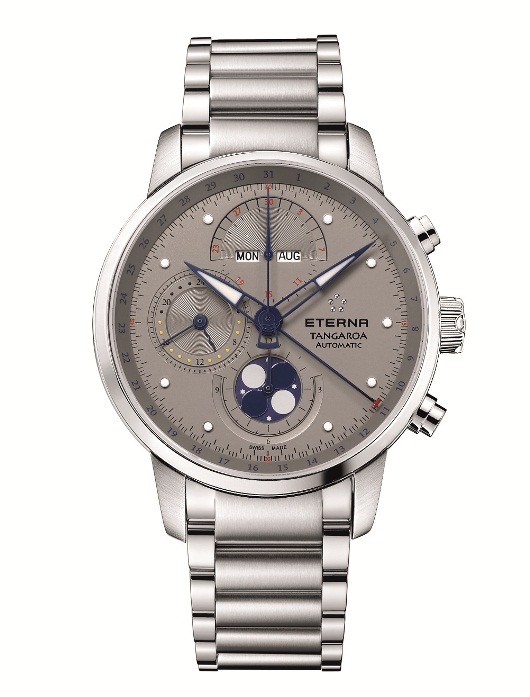 It should come as no surprise that Eterna has decided to re-release this iconic timepiece. To this day, the 1948 remains one of the most significant timepieces in horological history. The new 1948 remains faithful to the original design. The watch features a precision, 25 jewel Swiss made ETA 2824-2 mechanical movement fitted with a ball-bearing rotor similar to the original Eterna-matic design. Like its predecessor, the 1948 revival features the same elegant curved and facetted lugs that give the watch its classic appearance. In deference to popular taste, the 1948 now features a transparent sapphire porthole on the case back, revealing the intricate mechanical movement inside. Today’s larger 44mm timepiece is available with a choice of a silver-toned or black sunray dial with rhodium plated baton indices. 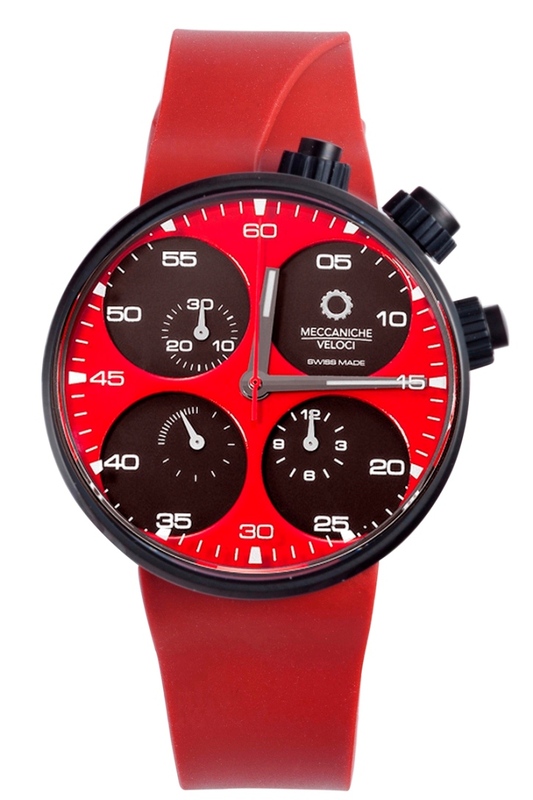 The watch is equipped with a scratch resistant sapphire crystal and is water resistant to 165 feet. 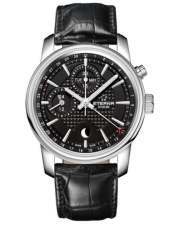 The new 1948 retains the signature Eterna crown and is equipped with an elegant black alligator strap. 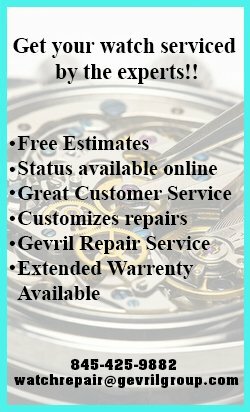 Eterna Watch Company is widely recognized as one of a small handful of companies that never abandoned the mechanical movement. For more than 150 years the company has been combining traditional craftsmanship with technical innovation to create unexpected solutions to watchmaking challenges. If you weren’t around to welcome the 1948 the first time it was introduced, don’t miss this unique opportunity to celebrate one to the true milestones of the watchmaker’s art. To obtain your own Eterna 1948, contact an Eterna dealer today. Ever since Thor Heyerdahl’s epic 1947 adventure across the Pacific in his primitive balsa wood Kon-Tiki raft, there has been an enduring bond between Eterna and the South Pacific. Heyerdahl wore an Eterna watch during his journey. 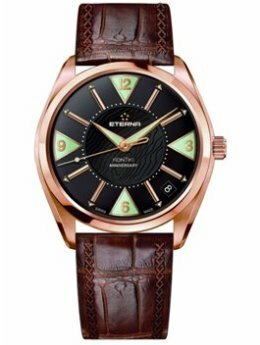 Thor Heyerdahl chose Eterna watches for himself and his crew because he believed they were the only watch company that had mastered the art of making a watch case watertight. 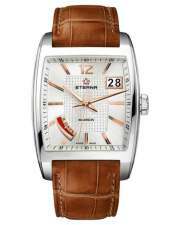 In 1958, Eterna paid tribute to this historic journey by introducing the iconic Eternamatic Kon-Tiki model. 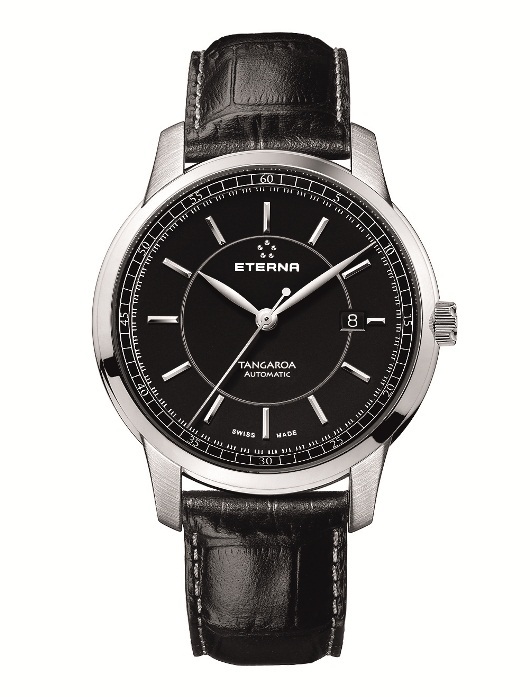 Now, Eterna has introduced another iconic timepiece celebrating a famous South Pacific voyage: The Eterna Tangaroa. Tangaroa watches celebrate the 2006 voyage of the raft Tangaroa that followed on the heels of the Kon-Tiki’s fabled South Pacific adventure. In some ways, the Tangaroa’s adventure across the Pacific was even more demanding than that of it’s predecessor, the Kon-Tiki. The same can be said for the watch that bears the Tangaroa name. With its many innovations and superlative craftsmanship, the Eterna Tangaroa is already destined to be a full-fledged classic. For starters, the Tangaroa features an entirely new type of case. Conceived by an architect, based on his drawings of intersecting circles, the 42 mm Tangaroa case does not have a single linear or flat surface. The fluid, flowing lines of this remarkable case contribute to the watch’s classic, almost timeless appearance. The impressive new Tangaroa is currently available in two configurations: a classic three-hand model, and a more elaborate moon-phase chronograph. Both models feature the Tangaroa’s trademark curved stainless steel case with a scratch resistant sapphire crystal and caseback. This durable case is water resistant to 165 feet. The three-hand model is powered by a Sellita SW 200-1 automatic movement with a 38-hour power reserve, and come equipped with a luxurious, topstitched black leather strap. The chronograph is powered by a Valjoux 7751 movement with a 48-hour power reserve, and is equipped with an integrated stainless steel bracelet. 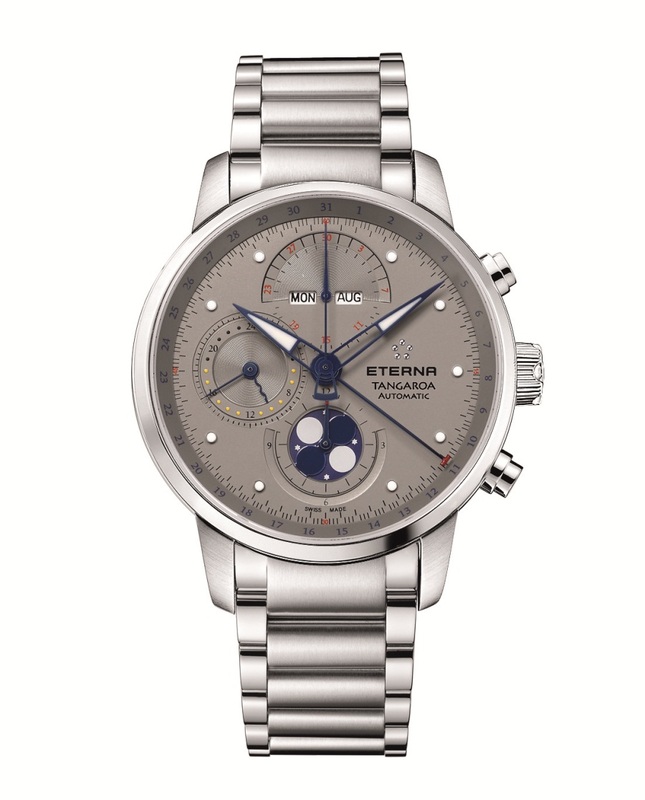 Both timepieces, designed by Elliott Littman, share Eterna’s heritage of superlative craftsmanship and innovation. 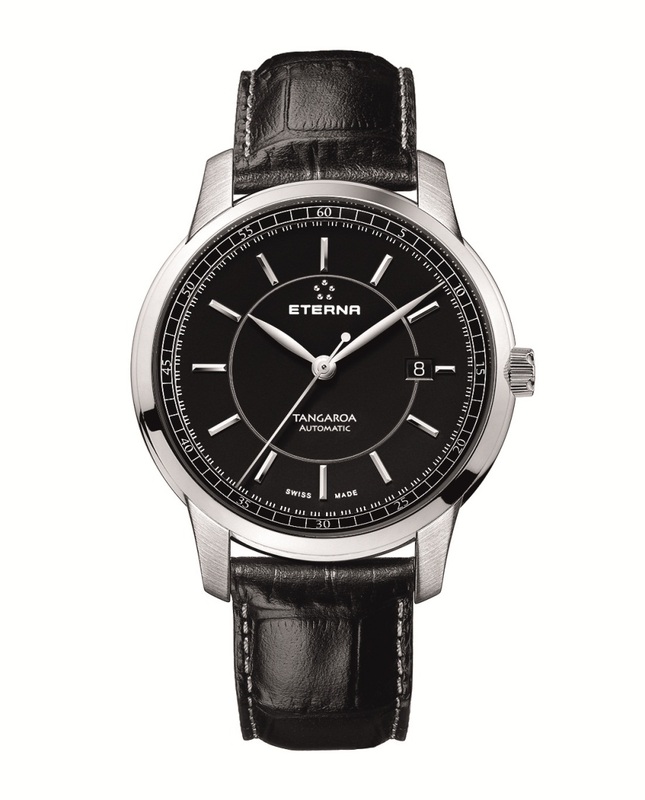 If you’ve got an appreciation for good design and a taste for adventure, you’ve going to love the Eterna Tangaroa. To put one of these fine timepieces on your own wrist, contact an authorized Eterna dealer today and reserve your favorite Tangaroa model immediately. 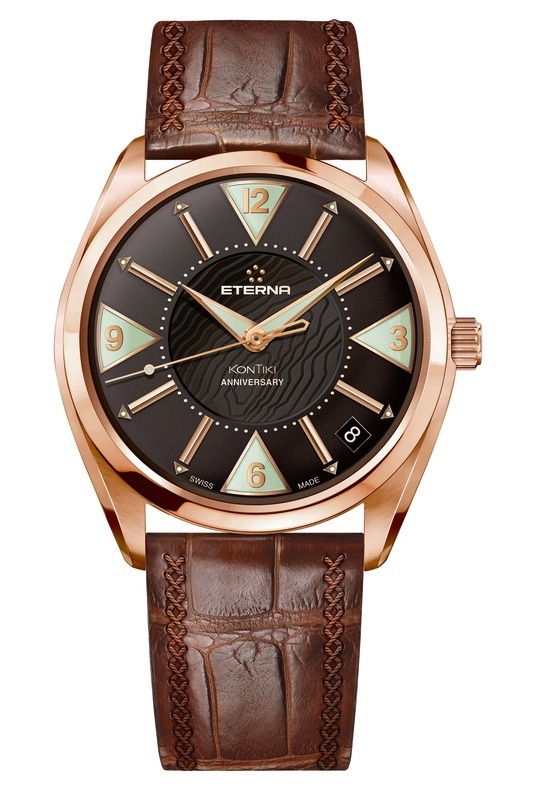 Gevril Group is the sole US agent for Eterna Watches. 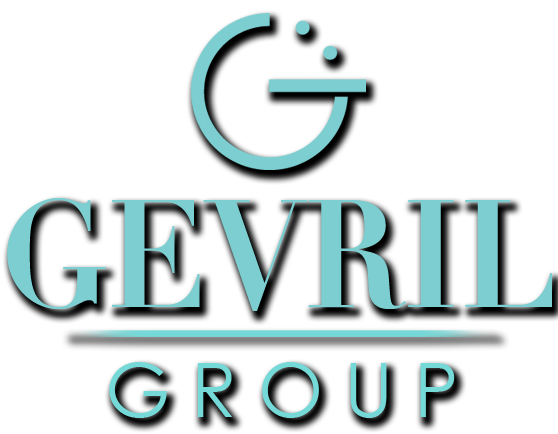 Contact us by email or call 845-425-9882. 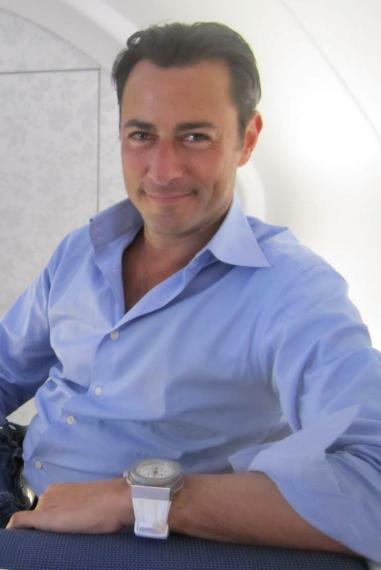 In Grenchen, Switzerland, watchmakers Eterna and Porsche Design announced the appointment of Patrick Kury as their acting CEO, effective right away. Patrick has literally spent a lifetime preparing for his new role. He grew up in a family of watchmakers. When he told his parents that he wanted to go to watchmaking school, his father was somewhat concerned, for he knew that the watch industry was full of risks. However, Patrick persevered and learned his chosen trade well. Patrick’s first watchmaking position was at the Omega service center in Biel, Switzerland, where he repaired and rebuilt Omega calibers, chronographs and pocket watches. The intimate knowledge of watch construction acquired by Patrick at Omega served him well, because when he joined Eterna, he was instrumental in the development of the revolutionary Eterna Spherodrive. This groundbreaking new mainspring barrel uses ceramic ball bearings to virtually eliminate friction, greatly extending the reliability and long-term accuracy of the watch. 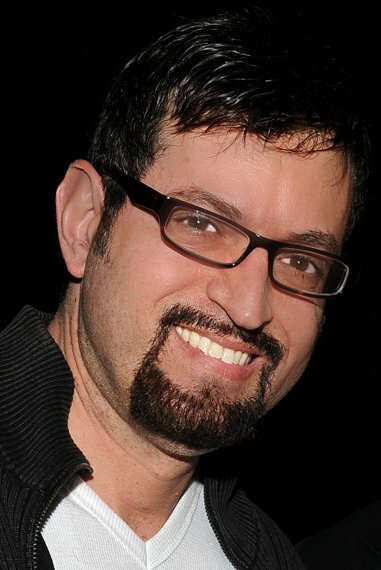 Patrick has served as Eterna’s Chief Technology Officer since 2005 and has been serving as the company’s Deputy Executive Director since 2008. 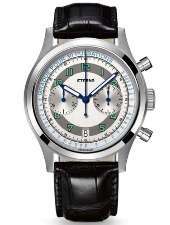 Patrick holds many patents for watch design, including one that Eterna is currently developing that will produce a constant power force on a watch’s gear train. 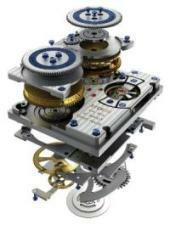 This innovation will allow Eterna’s precision mechanical timepieces to maintain even great accuracy and reliability. Patrick Kury’s lifelong fascination with watches, not only as practical tools to measure time, but also as instruments of artistic beauty and historical significance that can evoke strong emotions, make him the ideal person to take Eterna and Porsche Design Timepieces into the future. Eterna is one of a small handful of watch manufacturers who still believe it is possible, through the use of innovation and new materials, to improve on the traditional craft of watchmaking. 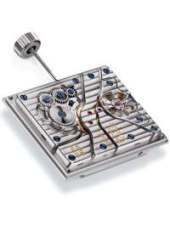 The Eterna Spherodrive was the first genuine innovation in mechanical watchmaking in 40 years. With Patrick Kury at the helm, Eterna is confident that the company will continue to maintain its leadership position in the watch industry and set new standards for horological excellence in the years to come.